We also have a small shop selling produce from the garden and small gifts. It is open Tuesday, Wednesday and Thursday 9.30am to 2.30pm. There will be a cafe, bbq, bar open, and plants for sale too. 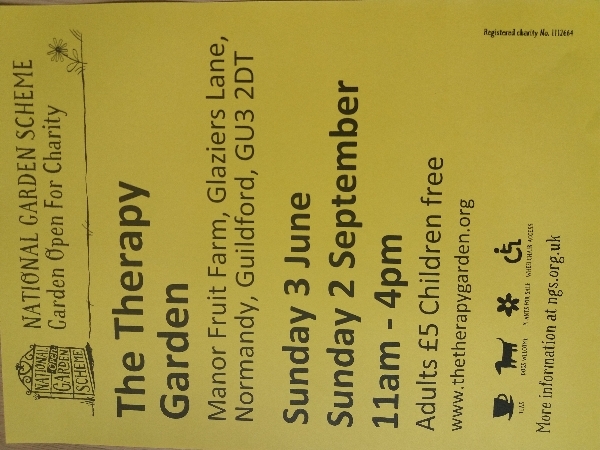 Come and visit The Therapy Garden, follow a trail around the garden, and get a chocolate treat at the end. Our cafe will be serving tea, coffee and cake. 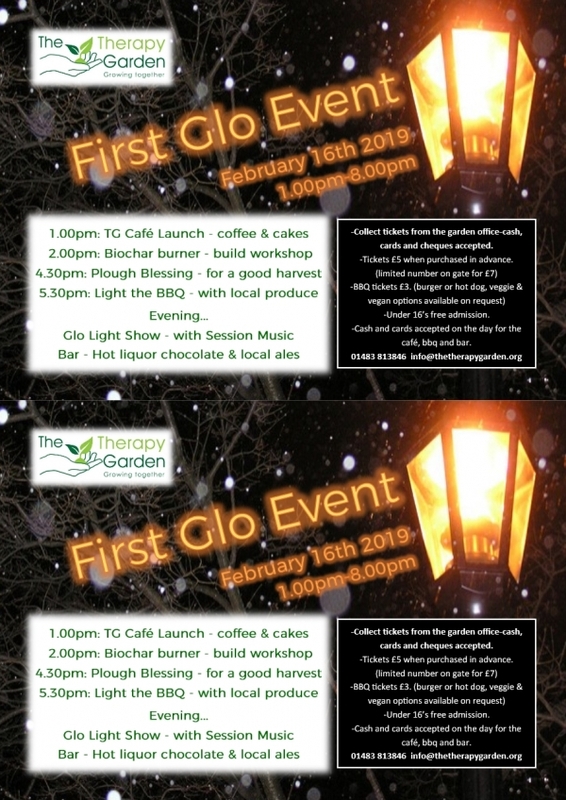 The Therapy Garden is holding its First Glo Event on 16th February 2019. 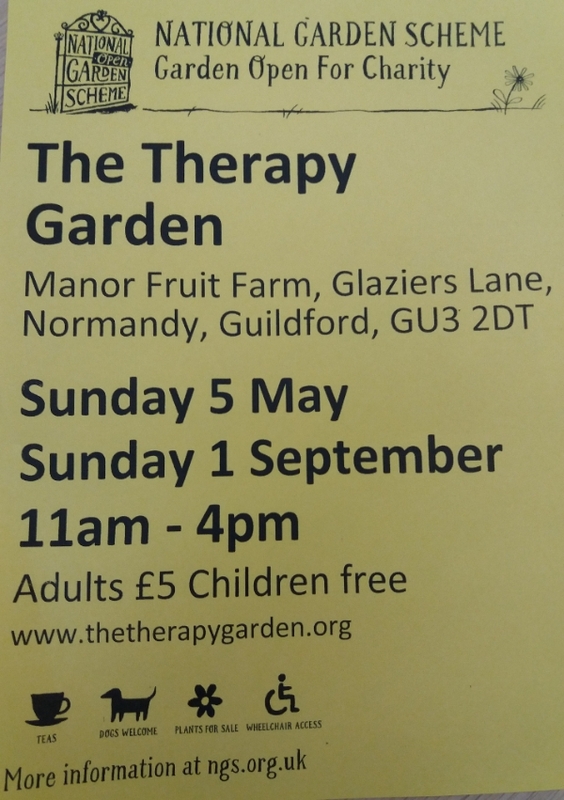 Tickets to be purchased in advance from The Therapy Garden office. Please see flyer attached for further information. 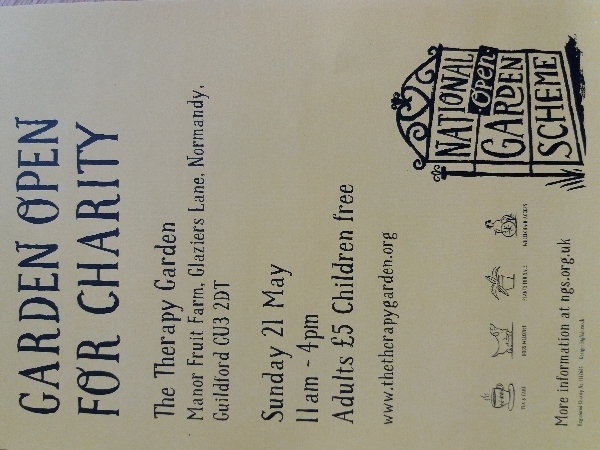 The garden will be open to the public on Sunday 3rd June as part of the National Open Garden Scheme. Come and visit us between 11am and 4pm to take a stroll around the garden and enjoy light refreshments available throughout the day. Entry is £5 per adult (children go free). 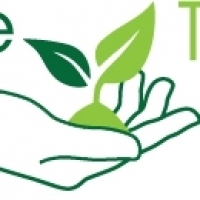 The Therapy Garden is a registered charity that provides social and therapeutic horticulture to different groups in the local community. Follow us on Facebook to be kept up to date will the latest news and events. There’s no need to book – just come along! 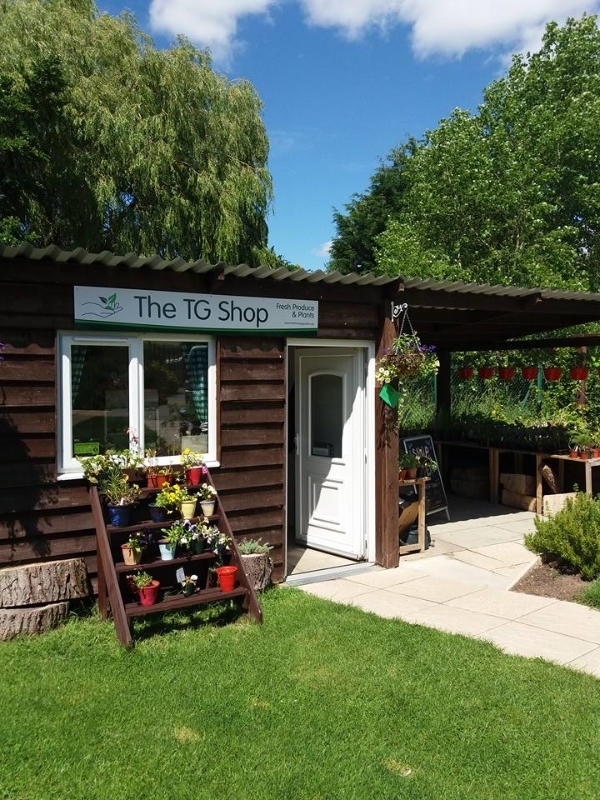 The Therapy Garden’s shop is open Monday, Tuesday, Wednesday and Thursday from 9.30am to 2.30pm and is stocked with produce from the garden, plants and small gifts. Just look for the green gates and press the buzzer to come in. 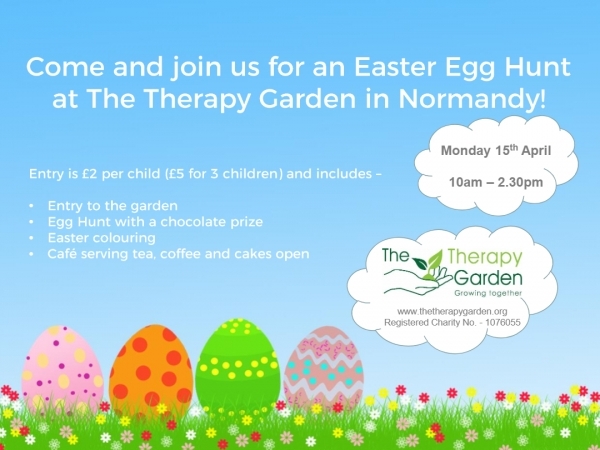 Come and visit The Therapy Garden and let the children explore the garden and search for the hidden pictures, and buy Valentines gifts and cards from the shop. A chance to learn about what we do, and find out what produce will be available to buy over the coming months. The Therapy Garden’s shop is open Tuesday, Wednesday and Thursday from 9.30am to 2.30pm and is stocked with Christmas treats and stocking fillers, as well as its produce from the garden. Seed filled baubles, wreaths, reindeer food, lavender sacks, Christmas cards and lots more.